Pre-Season Sale: $7 Off Royalty Admission Tickets! More Fun with a Group! Play all summer with a Season Pass! Apply now for an unforgettable summer job experience! Camp within steps of the Castle doors. 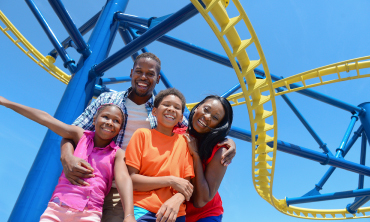 With over 35 rides, attractions, and shows, Dutch Wonderland is the perfect place for your next family staycation. Cool off in Duke's Lagoon water play area and make discoveries at Exploration Island, where dinosaurs come to life! Bring your little princess or prince to the best Lancaster amusement park to meet characters like Duke and Merlin, for a special event, family dining, or a whole season of fun. Find your next magical adventure at your favorite kids amusement park in Lancaster, PA. Looking for the best summer jobs with in Lancaster, PA? Dutch Wonderland is now hiring, and positions come with so many great perks! Four great parks for one price! 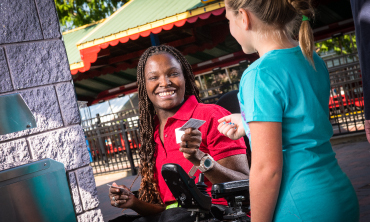 Enjoy a whole season of fun at Kennywood, Sandcastle Water Park, Idlewild & Soakzone, and Dutch Wonderland with this new pass. 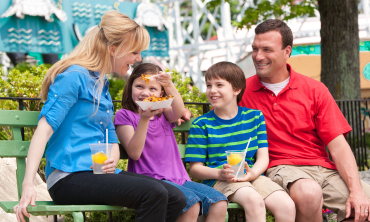 Season Passholders - Dine all summer for one price! The 2019 Dining Pass includes 2 meals and 1 snack every visit, all summer long!